Infinite Earths: Multiverse 101: Who Is Agent Liberty? 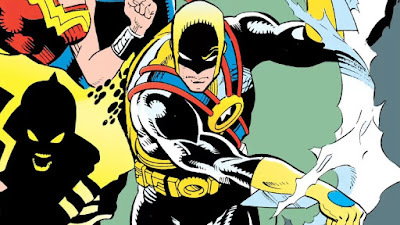 This coming October, Supergirl will introduce Agent Liberty to the DC TV Universe. In the show, he is the ruthless and terrifying founder and figurehead of Children of Liberty, a hate group that supports a human-first world order. According to a description from the show’s producers, he’s "a brilliant orator in the guise of a family man" and the scariest thing about him is how easily he can convince people that he’s right. 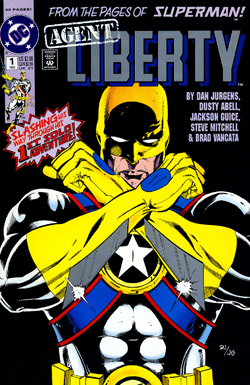 Created by Dan Jurgens, the character of Agent Liberty first appeared in the pages of Superman #60 back in October 1991. Known as Benjamin Lockwood, he was a former operative for the CIA who ended up leaving the organization in disgust over their methods, and the missions he was asked to undertake. 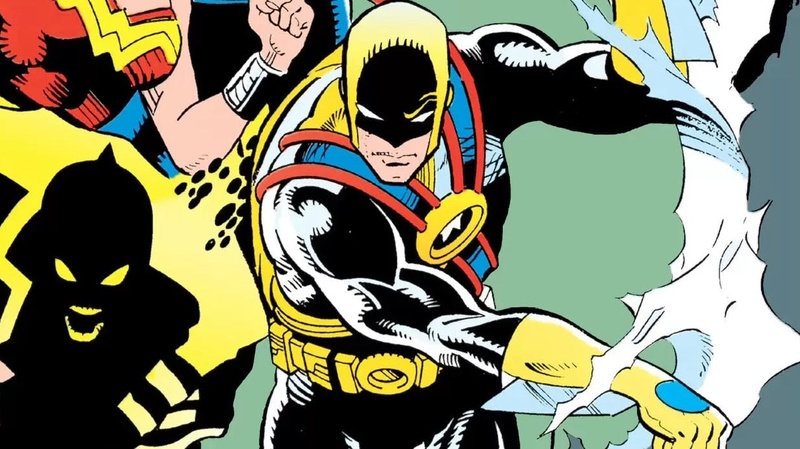 He would eventually end up joining the paramilitary group called the Sons Of Liberty, who outfitted him with the costume and weaponry he uses as Agent Liberty. Initially, Lockwood would use his costumed alter ego to help the organization in their quest to overturn the current governmental regime, which brought him into conflict with Superman. He would eventually leave the Children of Liberty after they asked him to assassinate a prominent politician named Pete Ross, and would aid Superman in bringing down the organization. A short time later, Lockwood would learn that the leader of the Children Of Liberty was his former CIA mentor. This would anger him so much that Lockwood would burn his Agent Liberty costume, vowing to never undertake that identity ever again. Lockwood would end up resuming the role of Agent Liberty after being brainwashed by the villainous Brainiac. Later, during the events of Infinite Crisis, Agent Liberty attends a mass for fallen and missing superheroes, and would aid in saving Metropolis from the Secret Society Of Super-Villains, who ultimately loose that battle to the heroes. Benjamin Lockwood eventually comes out of retirement to serve as a member of the President's security detail while meeting with Superman and other Kryptonians newly arrived on Earth. He would end up being killed by Superwoman after he was caught spying on Sam Lane and Lex Luthor. His body was dumped in Metropolis Harbor where it was discovered and brought ashore by a group of boaters. The Metropolis Metacrimes Inspector headed the investigation into Agent Liberty's murder, but before he could remove Liberty's armor, Lucy Lane had Agent Liberty's body removed from Metropolis City Hospital - leaving the case unsolved. A very interesting character, to be sure! We're interested to see how Supergirl will handle Agent Liberty next season, and how much of Benjamin Lockwood's backstory will be explored when the show returns on October 14th. Here's hoping he'll at least don the classic costume at some point.